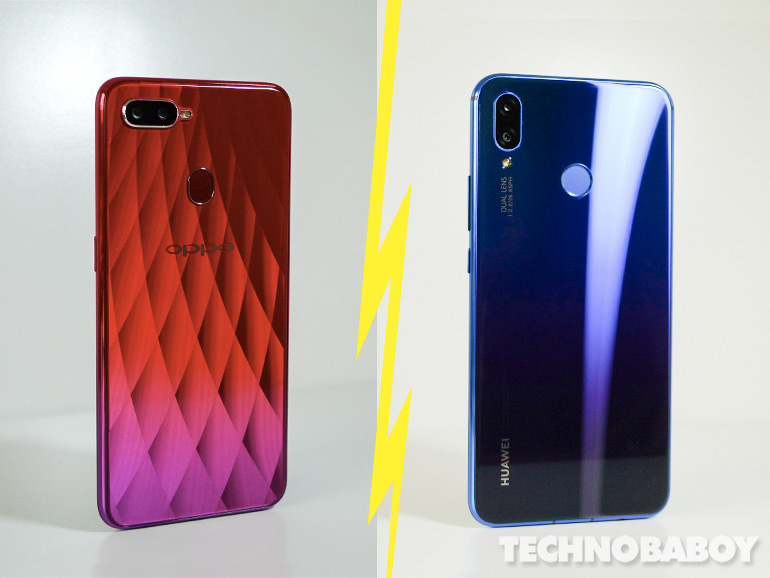 We compare two of the most popular mid-range smartphones in the market right now — the Huawei Nova 3i and the OPPO F9. On the surface, the Huawei Nova 3i and the OPPO F9 have their fair share of similarities. The two are the most popular mid-range smartphones this year. Each one launched with much hype and fanfare, and were greeted with long lines of people eager to be the first to get their hands on the celebrated devices. They both have a huge following, and have their own set of fanatics and detractors. But under it all, the two are also vastly different. Both smartphones offer different things to consumers. This straight up comparison will hopefully help readers determine which one will serve their needs, and give them the value they are looking for. On one corner, we have the Huawei Nova 3i. 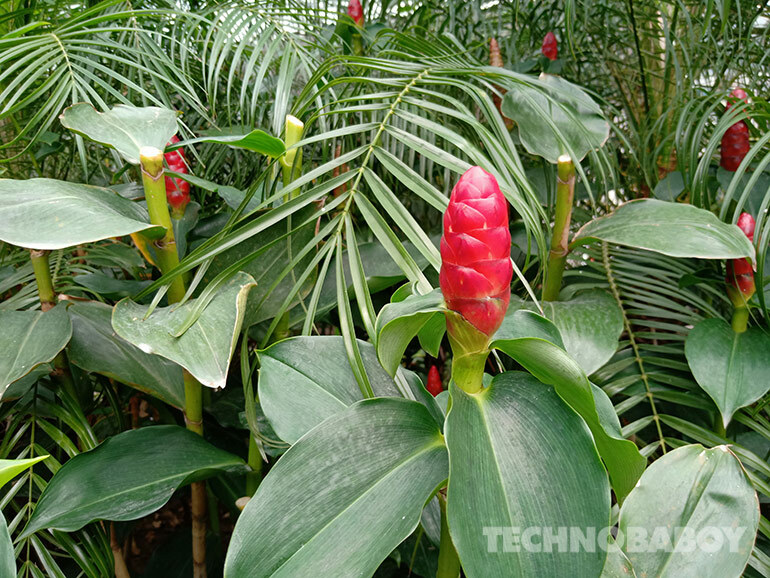 The handset features a 6.3-inch full HD+ display, a bar-type notch, a HiSilicon 710 processor, 4GB RAM, 128GB of expandable storage, and GPU Turbo (as an incoming update). It has four cameras — a 16MP + 2MP module at the rear, and the 24MP + 2MP for selfies. It also comes with a fingerprint sensor, face unlock, a 3,340 mAh battery, and EMUI 8.2 on top of Android Oreo. On the other, we have the OPPO F9. The phone features a 6.3-inch full HD+ Waterdrop display, an octa-core MediaTek Helio P60 processor, 6GB RAM, 64GB of expandable storage, and GPU acceleration. It has a 16MP + 2MP dual sensor module at the rear, and a 25MP selfie shooter in front. It also has a fingerprint sensor, face unlock, a 3,500 mAh battery with VOOC fast charging, and runs on ColorOS 5.2 based on Android Oreo. 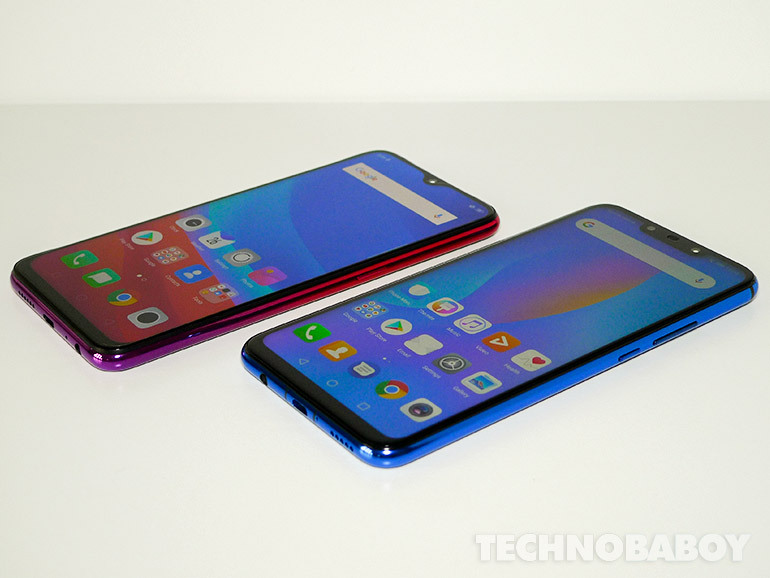 The Nova 3i and the F9 front 6.3-inch full HD+ displays that have 19.5:9 aspect ratio, and have almost the same resolution (F9 has a bit more because of the tiny notch). The Nova 3i has a regular bar notch to house the sensors, the dual front cameras, and the earpiece. It’s display is on the cooler side, and offers good sharpness, brightness, and color saturation. The notch can be hidden from view via the settings. The UI places a black bar on either side of the notch, camouflaging it. The OPPO F9, on the other hand, has a warmer tone and features the new Watderdrop notch. 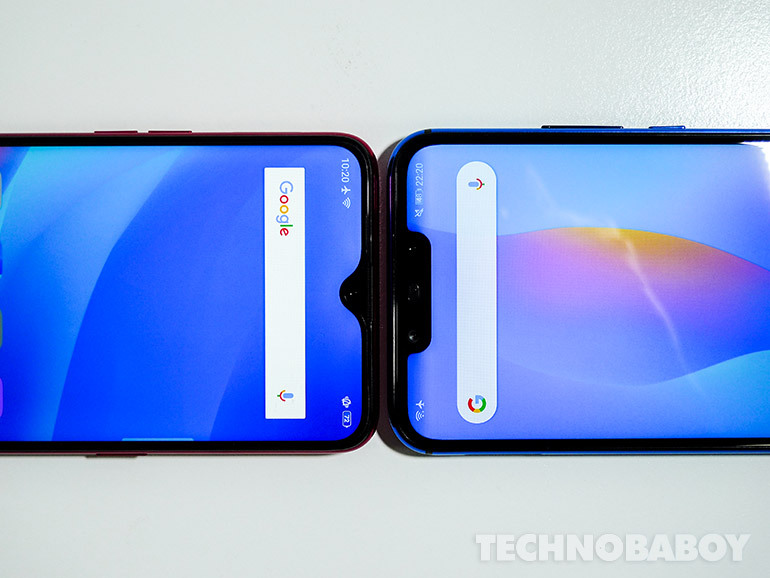 The new notch is beautifully designed, small, and unobtrusive (well, almost). It can also be hidden if you find it distracting, but you have to activate or deactivate it per app. The display itself has good details, brightness, and color saturation. It is protected by Corning Gorilla Glass 6. The Huawei Nova 3i has an octa-core HiSilicon Kirin 710 processor with 4GB RAM. It has a huge 128GB expandable storage, a rear fingerprint sensor, face unlock, and a 3,340 mAh battery. The OPPO F9 comes with an octa-core MediaTek Helio P60 processor. It has a more RAM at 6GB, but has a smaller 64GB expandable storage. It also has a rear fingerprint sensor, face unlock, and a 3,500 mAh battery with VOOC fast charging. We’ll discuss performance after this, but so far, deciding between the two spec sheets will depend on what you need. The Nova 3i allows you to store a lot of stuff; 128GB will go a long, long way — that means more apps, more games, more photos, more music, and more videos. It also has an option to expand via microSD card. The F9 has less storage (64GB is still plenty for most), and it also has a microSD slot. It comes with Corning Gorilla Glass 6, more RAM, a slightly larger battery that will give you a few more hours of power, and the excellent VOOC fast charging. The Huawei Nova 3i is powered by a newer 2.2GHz octa-core HiSilicon Kirin 710 processor with 4GB RAM and an ARM Mali-G51 MP4 GPU 650MHz. The OPPO F9, on the other hand, comes with a 2.0GHz octa-core MediaTek Helio P60 processor with 6GB RAM and an ARM Mali-G72 MP3 GPU 800MHz. Both processors were built on the 12nm process and use the big.LITTLE architecture. The difference between the two processors are the clock speeds. The Kirin 710 has four 2.2GHz A73 cores for heavy tasks and four 1.7GHz A53 cores for regular tasks. The MediaTek P60 has four 2.0GHz A73 cores and four 2.0GHz A53 cores. Before we proceed, keep in mind that benchmark apps test the performance of individual components through different scenarios. This is not indicative of user experience. Moving on, both phones are fluid, responsive, and butter smooth when it comes to basic navigation and app launches. Lag is nowhere to be seen. The fingerprint scanners and face unlock are fast and smooth. On Geekbench, the phones’ scores were close. The Nova 3i’s Kirin 710 got 1,604 on the single core test and 5,640 on multi-core. The OPPO F9’s MediaTek P60 got 1,496 on single and 5,740 on multi. On AnTuTu, the Nova 3i scored 139,173 points and the OPPO F9 with 138,966. The scores are again close. But a deeper look at the scores gave us more insight on how well they performed. On the CPU section of the benchmark, the Kirin 710 scored a higher 66,664 while the MediaTek P60 got 62,765. The scores show that both are powerful midrange chipsets, but the higher clock speed gives the former an advantage. In the MEM portion, RAM read and write speeds were tested. The Nova 3i’s 4GB RAM got a higher score of 12,876. The F9’s 6GB RAM scored 9,193. Looking at the GPU section of the test, the OPPO F9’s Mali-G72 MP3 scored a higher 30,189 points, against the 22,170 points of the Nova 3i’s Mali-G51 MP4. The former has a higher 800MHz clock speed versus the latter’s 650MHz. This was also the case with 3D Mark Slingshot Extreme test. 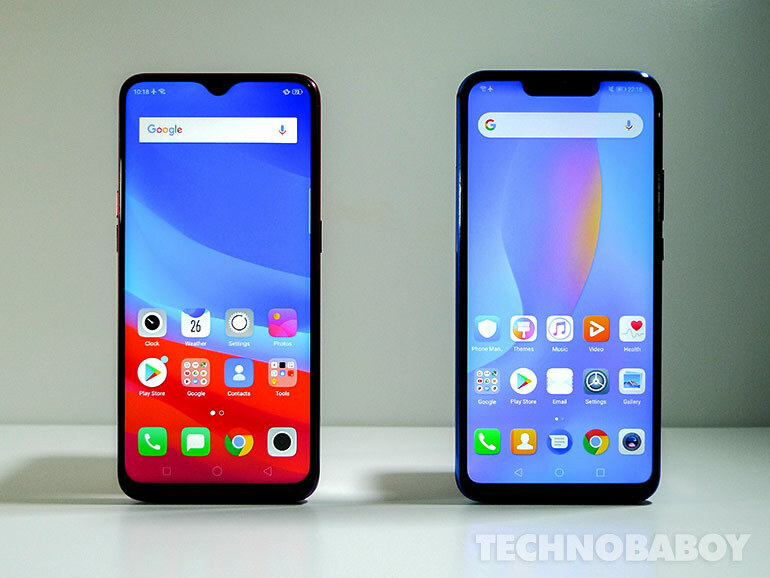 The Nova 3i scored 953 points, while the OPPO F9 got 1,082 points. Regardless of the benchmark scores, the two phones have similar performance in gaming. We played Tombraider Go, Monument Valley, Modern Combat 5, Need for Speed Most Wanted, Asphalt 9, and PUBG. Gameplay on Tombraider Go, Monument Valley, and Modern Combat 5 (full FPS in settings) were smooth with no issues for both phones. On PUBG, performance was similar. Gameplay was mostly smooth, with minor frame drops. Overall, the game was still very much playable and did not affect the gaming experience. On Need for Speed Most Wanted, you can see the power of the two phones’ GPUs. The game play was smooth. Details looked good, like the lights and reflections on the car’s surface. 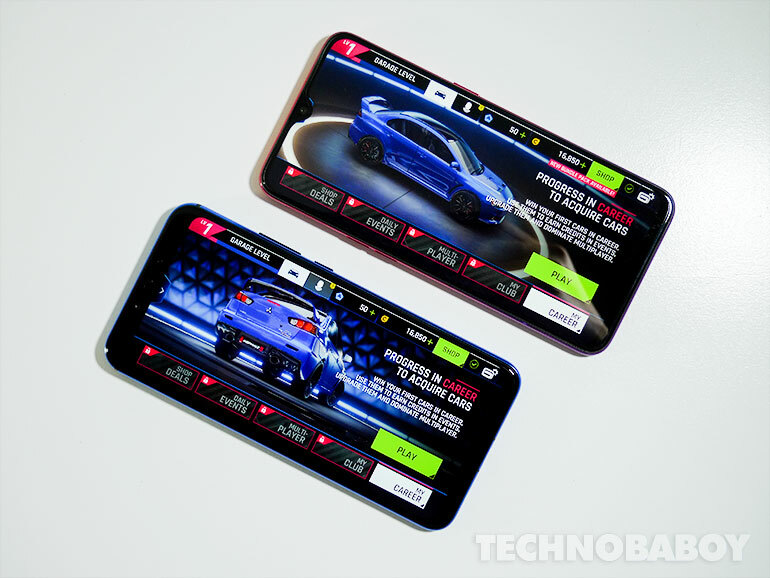 On Asphalt 9, both phones performed the same under default settings. But when I switched the graphics to maximum, the Nova 3i started to perform better than the OPPO F9. The latter was still smooth and responsive, while the former had minor frame drops. Take note that the Nova 3i we used for the comparison did not have GPU Turbo update yet. Graphics and performance should improve even more once it hits the phone. The Huawei Nova 3i has four cameras — a 16MP + 2MP dual sensor module at the back, and 24MP + 2MP shooters in front. The main sensor has an f/2.2 aperture lens. The cameras are supported by AI technology. The OPPO F9 has a 16MP + 2MP dual rear camera, and a 25MP front shooter (sadly, as beautiful as the waterdrop notch is, it can hold only one sensor). Its main camera has an f/1.85 aperture lens. It also has AI support. Looking at my test photos, the Nova 3i achieved more detail. It has slightly sharper images with more natural looking colors. White Balance was accurate and mostly on-point. 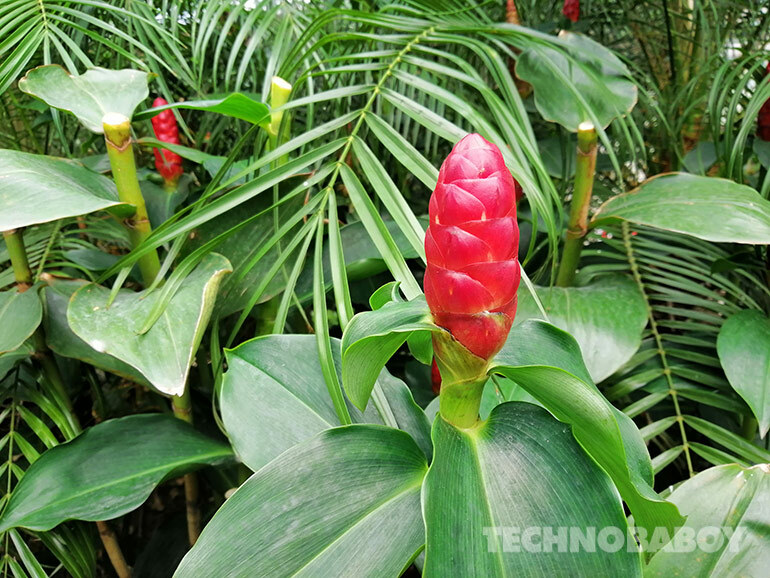 On the OPPO F9, photos have slightly more vivid colors with a tendency to boost saturation thanks to Auto HDR. When it came to selfies, both have similar results and performance. Beauty mode and AI Beauty works as advertised. 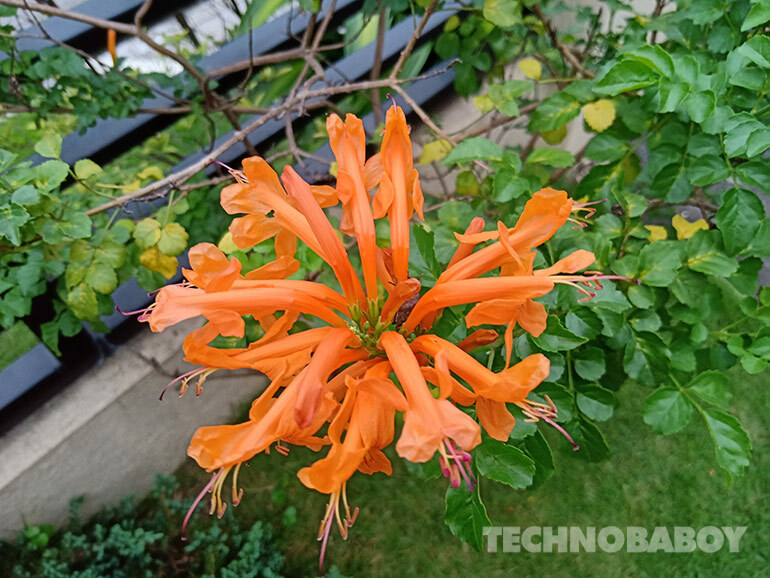 The Nova 3i, on the other hand, comes with HDR, a portrait mode with bokeh and 3D effects, time lapse, slo-mo, filters, 3D panorama, panorama, night mode, artist mode, and a pro mode. It also has the AR Lens mode with fun features like 3D Qmoji, 3D background, and 3D objects. For most of us, this is the difference maker — the price. The Huawei Nova 3i comes in at PHP15,990, while the OPPO F9 is close at PHP17,990. To be fair, the prices are justifiable. 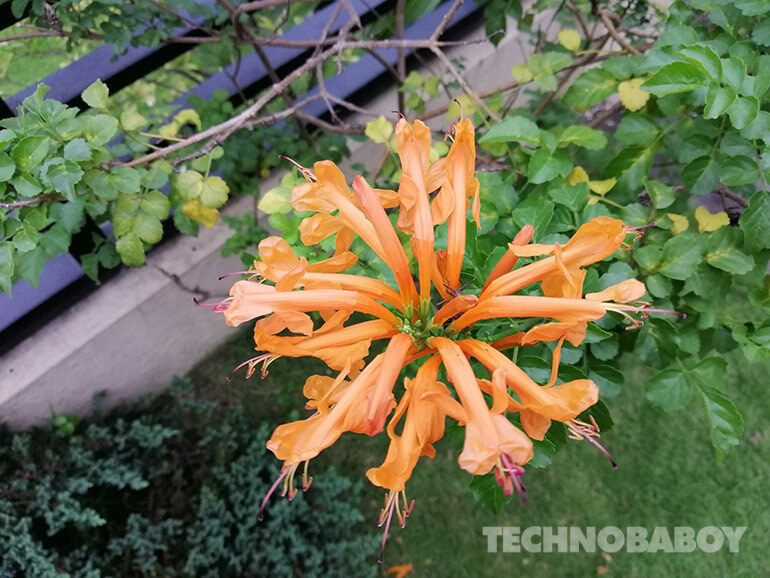 But the arrival of the Pocophone F1 will change pricing dynamics and will definitely stir things up. 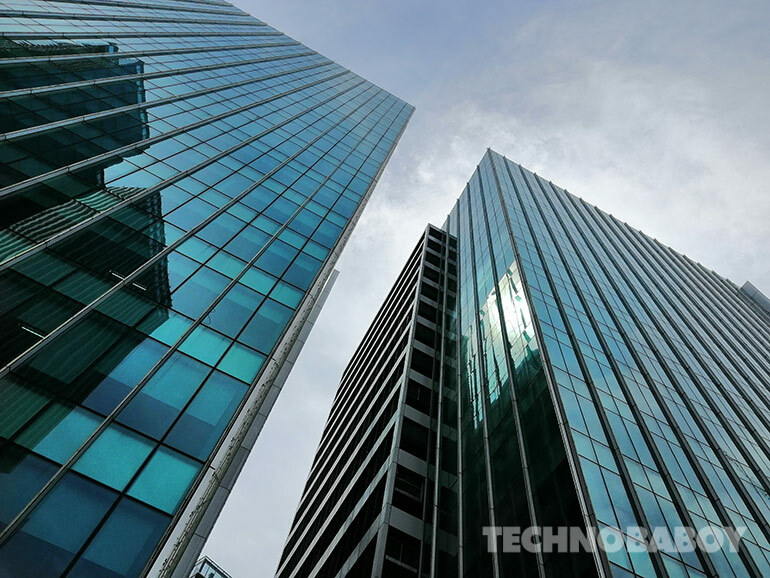 The new device might force the two brands to reconsider their pricing strategies. 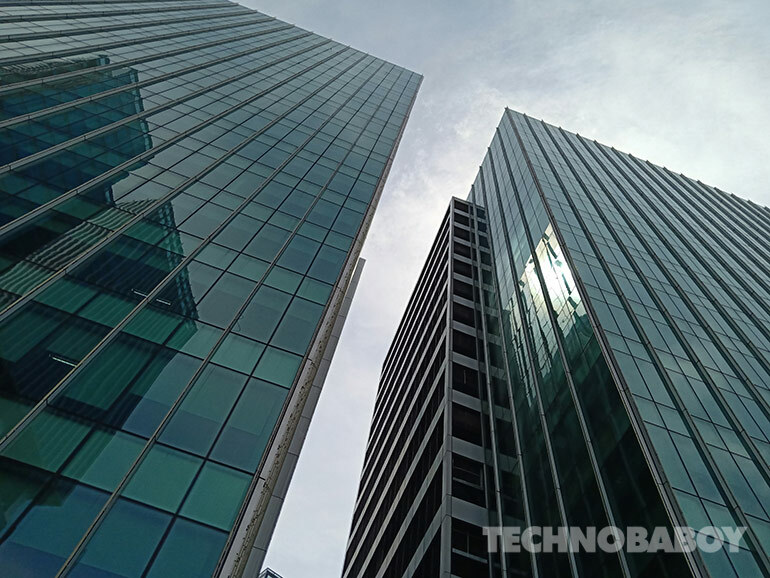 To wrap things up, both the Huawei Nova 3i and the OPPO F9 are great mid-rangers. The phones offer a lot of features, catering to different types of consumers. For PHP15,990, the Huawei Nova 3i comes with a great dual camera system backed by the company’s experience in imaging. It has an elegant design, an efficient and powerful Kirin 710 processor, a huge 128GB storage, and overall impressive performance. Priced at PHP17,990, the OPPO F9 features the beautiful waterdrop display, showing the company’s ability to innovate by reinventing the notch. It has a capable and high performing Helio P60 processor, a foothold on selfies, and a larger battery. The comparison is close, with each phone edging the other in one way or another. You can’t go wrong with either, really. But for those with a tight budget looking for a feature-packed option, the Huawei Nova 3i is as good a bet as any.